I also figure this will sort of satisfy the meme that the hilarious Amie and adorable Kris tagged me with. Sort of two birds, one stone, right? I mean, I got a lotta kids, got to multitask!! Can I have 2? I also am curious as to when in the world you get to take a shower. And 2nd one, how on earth do you keep everyone’s socks straight? I can’t do that and there are only 4 of us!! Oh this is fun! OK…how do you manage to get dinner on the table for everyone at the same time? What do you guys do for family vacations? Oh, I have a question that I’ve wondered about! : What is the bedtime routine like? You’ve touched on your mornings, but I want to know is how do you put all those kido’s to bed at night. My DH works nights, and I struggle trying to get my two down by myself. I get it done, but it’s a struggle sometimes. Is Chris home to help you???? I also want to know what you drive as well. I think I could think of a ton but I will hold off……..
OK…even though I asked 2 questions in my initial request, I’m just gonna throw out some more and see if any get chosen for the Top Ten! Do your biological children ever get resentful of adopting since it can mean less mom and dad time for them individually? When/how do you ever go shopping just for yourself? Like for clothes that you will need to try on? Do the kids all have chores so that the laundry/housework/dishes all get done? OK…I guess I will stop now…. I want to know what you do for fun.. what are your interests.. other than kiddos, and adoption and horses? Do you do devotions with the kiddos, or family bible study? If so, what do you do? I didn’t hear the answer to the care question… you going to need a new ride when shepherd comes home? How about a chore chart? any system for that? How do you keep the house clean? You a “fly lady” what is your system… and laundry, seriously? How does that work? How do you always look so put together and cute… asks the gal who is sporting yesterdays jeans and hair? I should also say that I admire your faith, and I am so thankful that you have chosen to share it. You are a blessing, and I can’t wait to hear your answers to the top 10 questions! I think I am most interested in your ability to maintain calm and patience and get anywhere on time. How do you remain patient with all the messes and delays and inconveniences that I am sure come with having so many young children and such an active household. Thanks for opening up to us! Okay, I’ll stop. I am anxious to see the answers! 🙂 Can’t wait to see these answers, friend! I had the honor of seeing Stefanie after 15 hours of flying (we were on the last leg of our trip to China together) and she looked just as beautiful and refreshed as you see her in every picture! The woman amazes me! Well, I’m a Yankee (New Hampshire), so hopefully you’ll still accept my question. 🙂 I found you via the My Adoption Website probably 8 months ago and have been following you ever since as we have been navigating the paper chase to our first adoption. I feel like i know you and you are a friend of mine….seems crazy, I know! * Is customizing a blog like this expensive? I love it! * The question I have had for a long time is: you mentioned somewhere (who knows where at this point) that when getting ready for one of the adoptions you gave Lifeline a “heads-up” call. How does SN adoption work at Lifeline? Surely, you must be a unique case, but can anyone apply to Lifeline for a SN adoption, state the needs we feel equipped to handle, and wait for a match from their lists? How long is the wait usually? We can’t do that because we’ll be DTC here soon (and I don’t think concurrent adoptions from China are allowed), but I was curious about the process. We’d love to adopt a waiting child in the future, and maybe the way Lifeline does things is a good plan for us. * What was for dinner last night?? 🙂 (I’m really trying to ask how you make dinner for so many kids with so many kids running around.) I liked the grocery bill question too. * I also like the bedtime routine question, but as a piggyback question….are you just the most organized person ever or what…how do you keep it all straight? And DO NOT tell me you also home school or I’ll just die!!! OK- I think that is more than enough, and I too am looking forward to the answers! Your story (well, stories) have inspired me so much, I just cry when I think how long the wait will be for us to bring our daughter home, but I know the Lord has called us to it, so He will give us the strength to get through! JENNA: I’m from NH as well, and it seems like we’re pretty much at the same point, DTC soon! Can’t happen soon enough! This is our first adoption. We were put on our agancy’s SN list a few weeks ago. Would love to chat, if you’d like. On the trivial side, I’d love to know how many loads of laundry you do per week, or probably, it’s more like per day;-). More seriously, it must be so challenging to give each child ‘one on one time’ with Mom. Do you have a stategy/routine? You’re such an inspiration Stefanie! You know people would buy it! These are really good questions, that your answers could help a lot of people out. ..Can’t wait to see your post girl! Oh, & Lanie… you’re killin me!LOL! Ok I am a daily reader as well…I love all the questions. I second Keisha’s idea! Stephanie, you’re definitely a gifted writer. I’d buy the book- put me down for a first edition….would LOVE it signed;-)! Oh, that brings me to another question…how many WPM can you type and where do you find the time to keep the blog so creatively updated? This is fun. Beth Moore did something like this on her blog and it was very interesting. I like most of the questions everyone else asked so I will spare you another, unless one pops to mind and it is a burning question. Still love reading your updates, can’t wait to see you bring Sheperd home! One more comment, I am absolutely amazed at how you manage kids and a blog. I haven’t gotten around to updating mine in days. Probably because I read yours all the time. I think other people’s lives are so much more interesting!!!! Ok, I just want to know how you keep it together, I mean I can’t even plan out meals for a week and get to the grocery store!!!! And laundry, don’t get me started. Not to mention the bathrooms, How often should I clean them??? Just having fun. Hi Stephanie! I have one, which may only be relevant to some people. We are preparing to leave soon (April/May) to adopt our daughter who will be just turning two. We have read all the books about bonding, but what would YOU say are the best things to do when you first meet your child. I do worry a little about her being two, so I’d love to hear of some personal experiences! I love this!!! I am totally in favor of you writing a book in your spare time! A chapter about each child including the new challenges faced with each addition to the family. Maybe (if your up to it) a chapter on the process of adoption. We are with Great Wall (LID 3/8/07 for Raegan), and have found some of their info either incorrect or incomplete. I would also pay for a signed copy!!! 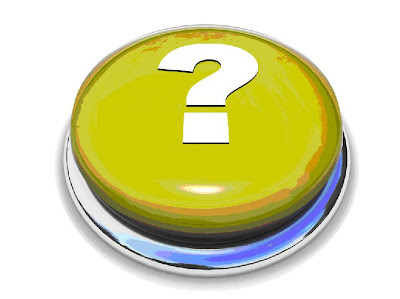 My question is do you have any suggestions on products/gadgets that you could not live without? Also, I am excited to pieces some days to become a first (only) time mom. Other days I am terrified. Scared of silly things like ‘what if she doesn’t like me’, ‘what if I don’t know what to do with her’? Did I read that you are a military family? I am curious as we are a retired military family. (21 years Navy)If so, how many times have you had to move? Thanks for sharing your beautiful family with us!! while the door is still open, i might as well throw another question in the pot! – i know you have mentioned getting up early (and before the kids) for Bible study, but do you have any tips for keeping that focus throughout the day? in all of the commotion and busyness of a big family i imagine it could be extra difficult to keep in conversation with God. Ok, I’m back since you SAID we could return. I would second Tish’s question about how you focus on being a woman of God amidst chaos (I am ASSUMING that a lot of days are VERY busy) Do you struggle with inadequacy (as all us mamas do?) I would also like to hear (maybe a whole ‘nother post) about comments that you receive in public – negative or positive & your responses. Also, you have (I think) inspired some of your close friends to adopt special needs children from China – I would love to hear more about that. I think Stefanie should be on Oprah! I also think a book would be wonderful! I would DEFINITELY be first in line to buy a copy (a signed one, of course). My question to you is about your three trips to China. As we wait for our own special needs referral, I want to make sure I am prepared…as much as I can be for such a life changing event. I guess what I’m wanting to know is this…what keepsakes, memories, places visited, etc. are the most meaningful and important to you looking back (other than your sweet kiddos). What would you say to someone going for the first time? I don’t want to come home and think, “oh, I wish I had thought to do that!” You are my HERO! I told you, Stephanie! Okay, I hope your busy writing your first chapter right now! lol! We’re heading your way sometime this week to Monkey Joe’s! this is fun! I’m enjoying reading the questions — and cannot wait for the answers. here’s mine — are you working out these days? what do you do or would you enjoy to do? and how do you manage that? and I totally agree about the book idea! you write well and I remember that Chris is a fantastic writer as well. I hope I am not too late to ask two questions! I love your blog and have been so blessed by it! We have three daughters and are in the process of adopting a fourth daughter, waiting child, from China. My first question, since we don’t know how we are going to pay for this adoption, is: How did you finance all of your adoptions? I love your raffle idea. Did the raffles provide most of what you needed? We will have four children in a 1200 square foot home. I know you have a much larger home, but double the children as well! How do you arrange your children’s bedrooms with the differences in age ranges? Our oldest and youngest will be about 15 years apart. I need some creative ideas. Thank you so much for answering so many questions from everyone!